Discussion in 'Debate Other Religions & Faiths' started by Phoebe Ann, Mar 22, 2019. The LDS Church traces its founding to April 6, 1830, when Joseph Smith and five other men formally established the Church of Christ. The church was known by this name from 1830 to 1834. In the 1830s, the fact that a number of U.S. churches, including some Congregational churches and Restoration Movement churches, also used the name "Church of Christ" caused a considerable degree of confusion. In May 1834, the church adopted a resolution that the church would be known thereafter as "The Church of the Latter Day Saints". 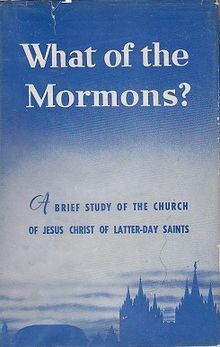 At various times the church was also referred to as "The Church of Jesus Christ", "The Church of God", and "The Church of Christ of Latter Day Saints". In the late 1830s, Smith founded a new headquarters in Far West, Missouri. At Far West on April 26, 1838, Smith recorded a revelation from God renaming the organization the "Church of Jesus Christ of Latter Day Saints". The church was known by this name until after Smith's death in 1844; occasionally the name would be written with a hyphen between the words "Latter" and "Day". After Smith's death, competing Latter Day Saint denominations organized under the leadership of a number of successors. The largest of these, led by Brigham Young, continued using "Church of Jesus Christ of Latter Day Saints" until incorporation in 1851 by the legislature of the provisional State of Deseret, when the church standardized the spelling of its name as "The Church of Jesus Christ of Latter-day Saints", which included a hyphenated "Latter-day" and a British-style lower-case "d". In January 1855, the legislature of Utah Territory re-enacted the charter which incorporated the church under this name. 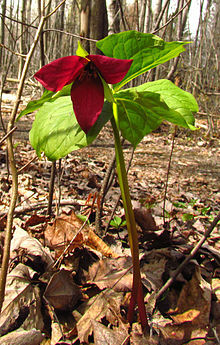 By any other name, a red trillium erectum is still the same. This is why we need accurate information. Okay. Seems like a waste of time and money. Does the leadership not remember how they've already tried this several times since the early 1980s, and it has never, ever stuck? I'm still going to call it the Mormon religion/Mormonism, and its people the Mormons, as I'm assuming most people will likewise do. I don't know why they run from such a very strong 'brand-recognition' as they already have, all in attempt -- which they have the audacity to attribute to 'revelation' (yeah, right; and I'm Joseph Smith) -- to force their ecclesiology on the rest of the world that largely doesn't even see them as Christian or care what they have to say about anything. What I find interesting is that people say "Jesus Christ" as if Christ is His last name. I always refer to Him as "Jesus the Christ". I felt God telling me to address Him that way. Christ is a title not a name. Maybe it's a little petty, but out of respect I kept the correction. When I went to that church they preached a lot of Joseph Smith instead of Jesus the Christ really. Maybe they should name it after the founder Joseph Smith, since he did change the bible to suit his beliefs and all. I wonder how long the Mormons have owned that domain name. More than two weeks later Mormons are still called . 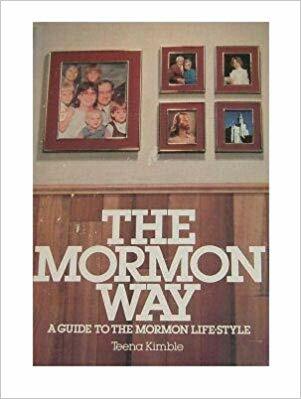 . . Mormons. I live in Salt Lake City, and the change from what I have seen has had very little effect. I commend President Nelson to align the general identification of the church membership with Jesus Christ in name. Isn't it like calling Muslims Mohammedans? 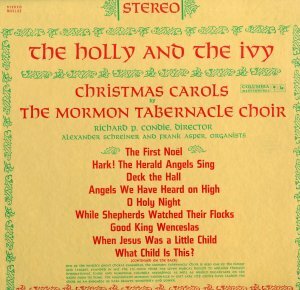 Critics of the church have gone out of their way historically to try and make people think we worship anyone but Christ, so much that even the church itself had to allow the popular use of the term "Mormon" because it was often the only term that the public was familiar with. I don't think this change will have much effect. I've never met a critic who said that and I've never said it. The church did not have to allow the word Mormon. They weren't ashamed of it. The above book was sent to me by your church headquarters before I was a member. I had this album among others. While I await David's own reply, I would note that I've asked for clarification because the term "Mohammadan" was once used due to a supposition that Muhammad filled the Christ role in Islam -- i.e., it was a misunderstanding of Muhammad's role in the Islamic religion by improper analogy to the role of Jesus in the Christian religion. 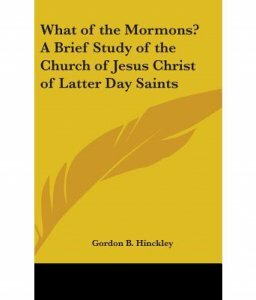 I don't think that the non-Mormons who call the adherents of Joseph Smith's religion "Mormon" are making a similar mistake -- i.e., I've never heard even the most rabid 'anti-Mormon' claim that the angel Moroni is worshiped in Mormonism, nor that he is the 'Mormon Messiah' or anything like that. So I don't see them as being at all the same. Hopefully David will clarify. So you so NOT worship Heavenly Mother? You sing to her and Heavenly Father? You guys did far more than "allow" it's use. Why not the Church of Jesus, Mother and Father? It's no mistake; it's people *deliberately* trying to de-emphasize the fact that we believe in Jesus Christ. Again, the question is how it relates to calling Muslims "Mohammedans" (or doesn't), not what you believe it means when non-Mormons call you guys Mormons. p.s. - If you can remember that far back, I thought Mormons were Christians when I first started posting here on CF. 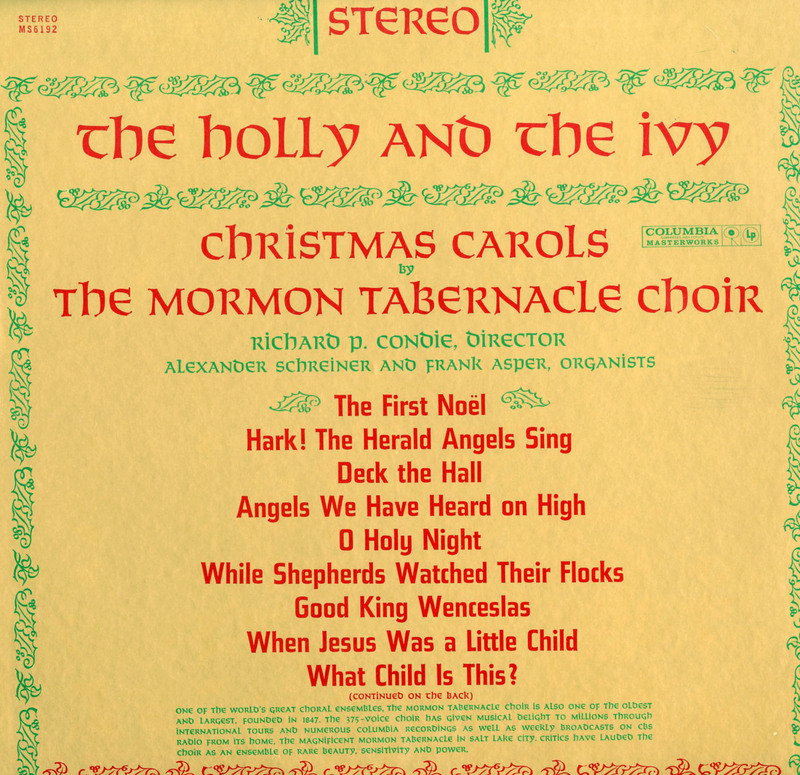 What changed my mind on that is not hearing the name "Mormon", but actually reading Mormon posters' theological and ecclesiological explanations for why they didn't do what Christian groups do. Their Christ did not create everything. And not from nothing. Their Christ is a brother to Satan instead of His creator., We all existed before being born and are the literal product of heavenly mother and the God the Father --of this earth-- who was human before He became God (that is why we can become gods)--they have a sacred ceremony that basically thanks Satan for the fall for without the fall we would never have been able to have children, Their Christ is unable to protect His word and it has been corrupted so Joseph Smith's words are more accurate than our bible and override what the bible says. Their Christ will give to Mormon men their own planet with multiple wives with which they will populate that planet and he then will have to save their souls as Christ did for us. Yes, they believe Jesus is the Savior---however, He is not the same Jesus or the same God the Father that Christians have. 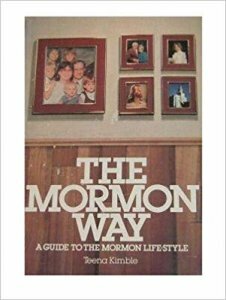 None of this comes from anti-Mormon sites--it is all from their writings. Yes. They believe a lot of things that Christians do not. They have for their scriptures. 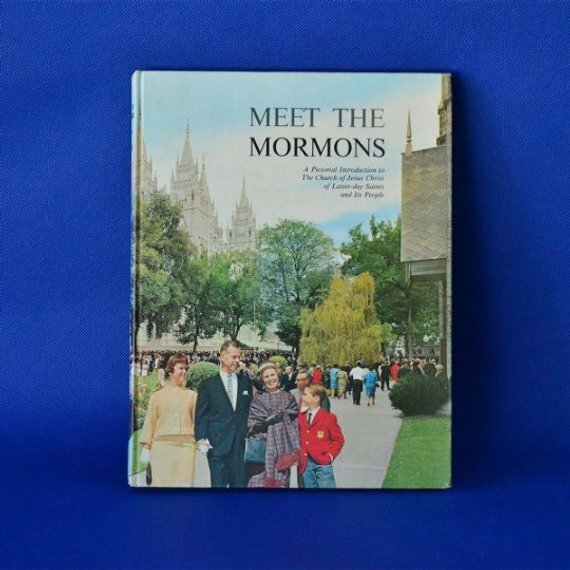 The book of Mormon, The Doctrine and Covenants, The Pearl of Great Price (re-translating the books of Moses), a Changed version of the King James Bible and teachings of the presidents of the church of Jesus Christ of Latter day Saints. It was my understanding that Joseph Smith re-translated the bible to be in agreement with his revelations and his direction for the church's members. I praise the 3-in-1 God that he has set you free from their cult! By the way, their gods are "many-in-many," since they say that we can all be gods if we are good-enough Mormons.